I'm sure your happy Terry - it looks like another mild week for much of USA...esp the East Coast. 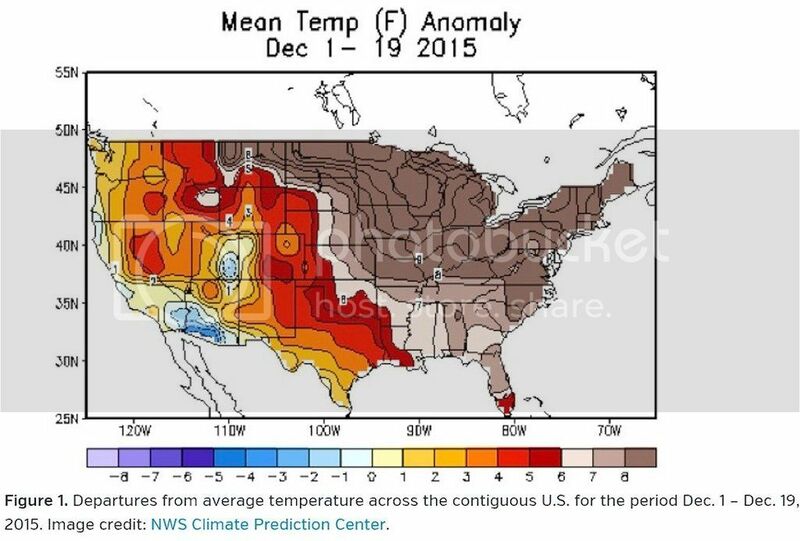 Here is a recent (to December 19th) map of temp departures this December. As is typical in a El Nino winter, most of the mainland was warmer than normal...but the big positive departures look to be in the Central and middle/upper Atlantic states. Although parts of the West have had a rough December in terms of snow, even there temp departures appear to still be a bit above normal.